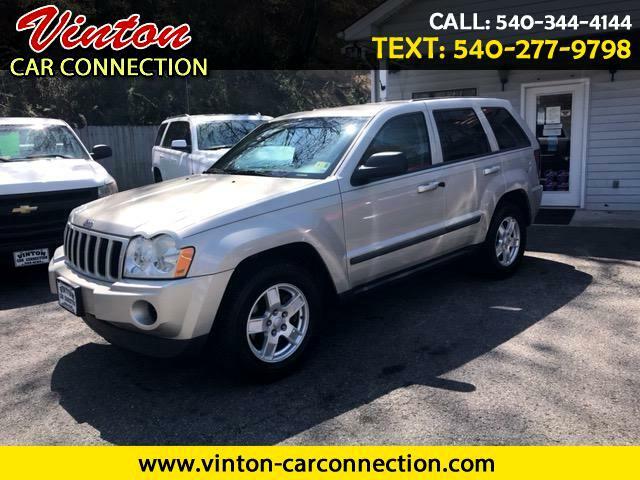 Vinton Car Connection is offering this Carfax certified 2007 Jeep Grand Cherokee. Carfax says 2 local owners,no accidents and mileage problems. For 2007, the Jeep Grand Cherokee gets a number of equipment changes, . Side-curtain air bags with a rollover detection system are now standard on the Grand Cherokee. . Additionally, the taillight design has been revised, interior trims and finishes have been upgraded, .This is one nice vehicle, i drove myself over 250 miles ,We have been in business over 40 years and 30 at the same location and rely on repeat customers for most of our business .To backup our reputation we offer a 6 month 7500 mile power train warranty on most all vehicles that qualify .We will also do your DMV work on site .We are one of the few left that do not charge a processing fee .We are American owned and operated .We look forward to serving you.